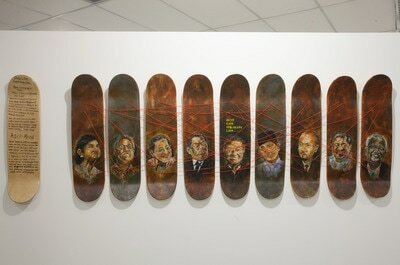 ‘Dulu lain, sekarang lain’ is a Malay colloquial term which means ‘the past is different than the present“. Change is inevitable; often change is a result of situations, development, environment and influenced opinions. 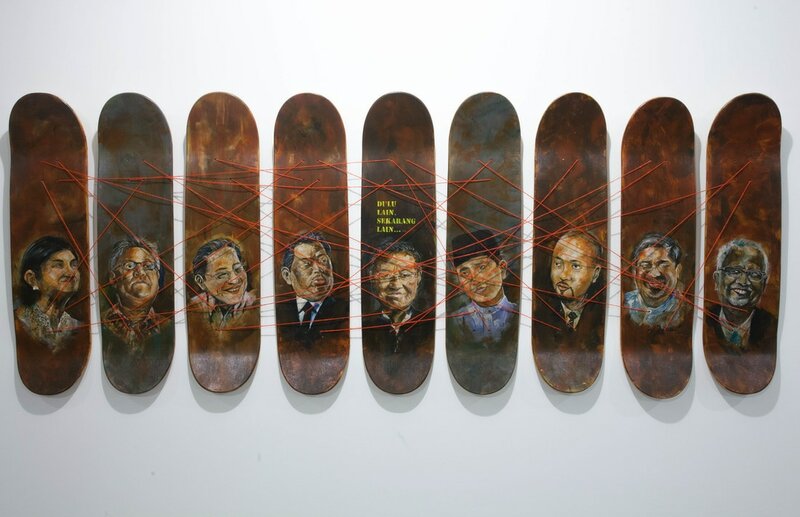 Dulu Lain, Sekarang Lain by artist Azrin Mohammad is a documentation of the politicians in Malaysia who have made an impact to the success of the country over the years. The images imprinted on the skateboards are of the leaders of the nation, almost paying homage to their contributions to the national identity. 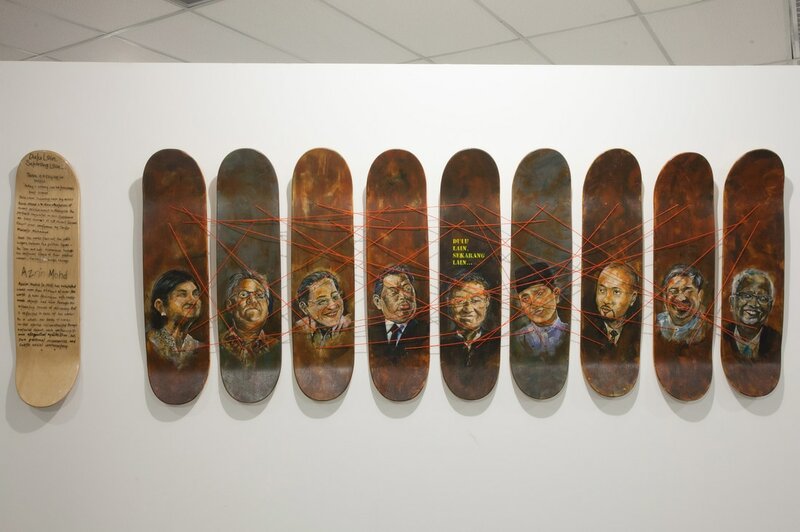 The flying birds that accompany these portraits symbolise the nation taking flight; moving onward as a result of their relentless pursuit of a better Malaysia. 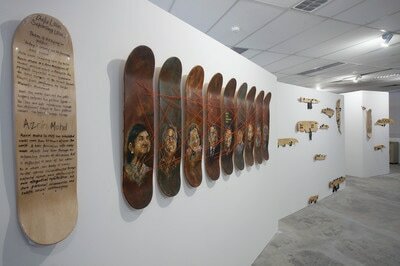 Azrin Mohd (b.1969) has exhibited works in more than 30 shows all over the world. A keen fascination with ready-made objects leads him through an interesting process of discovery that is reflected in each of his works. 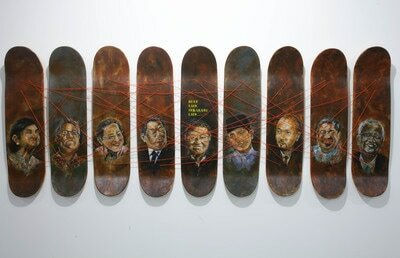 As a whole, his body of work re-tells stories (re)constructed through material objects, each containing its own allegorical symbolism, his own personal memory, and subtle social commentary.